Hudson Hideaway results will be displayed first - if available. 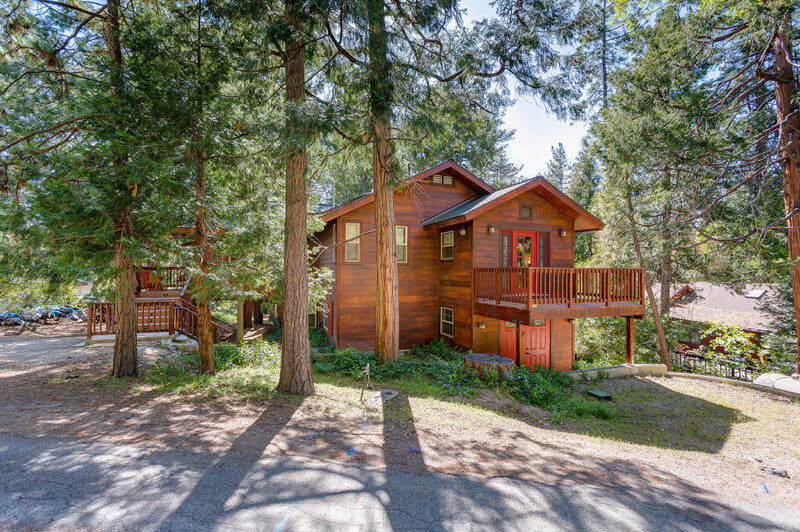 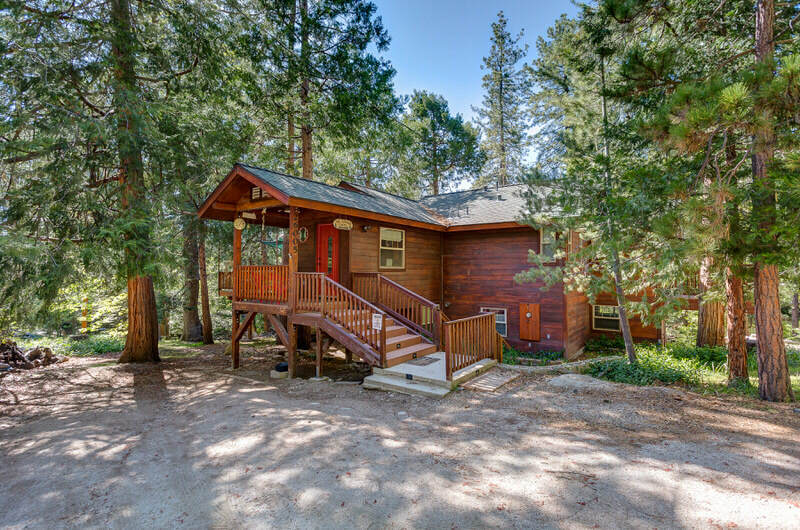 This gorgeous three bedroom three bath cabin is about a mile from downtown Idyllwild, walking distance to stores, shops & restaurants. 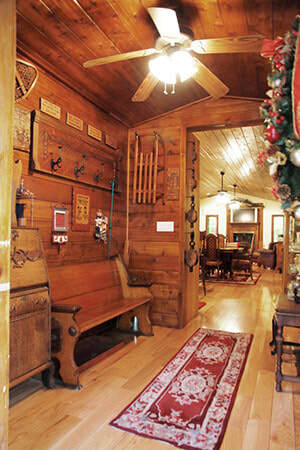 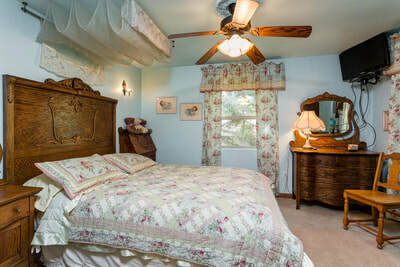 The cabin is warm, charming and tastefully decorated with stained glass and antiques. 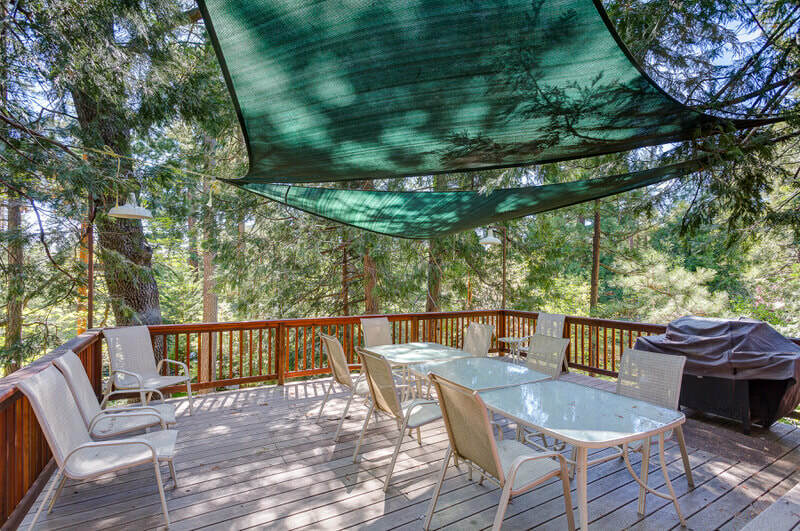 It is located in a quiet, wooded cull de sac with tree views from the huge back deck. 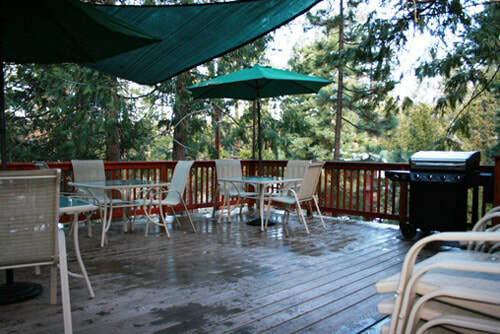 There is plenty of comfy furniture on the deck with a great BBQ. 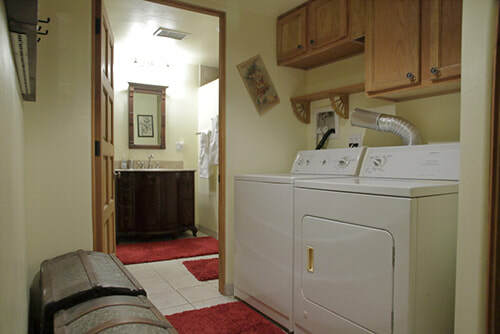 This home is pet friendly and non smoking. 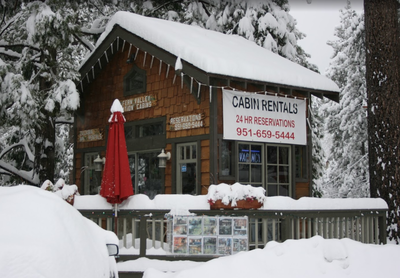 Access to Hudson Hideaway is nearly level with parking for 2 vehicles, however chains are needed if it snows. This is a two story home with a awesome game room. 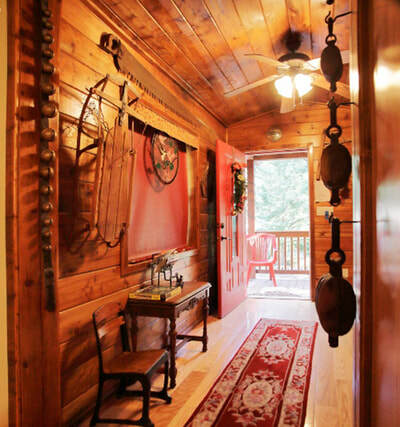 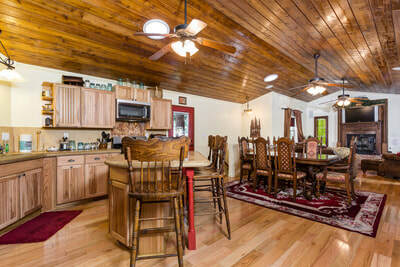 When you enter onto the main floor, this cabin greets you with lots of character and charm. 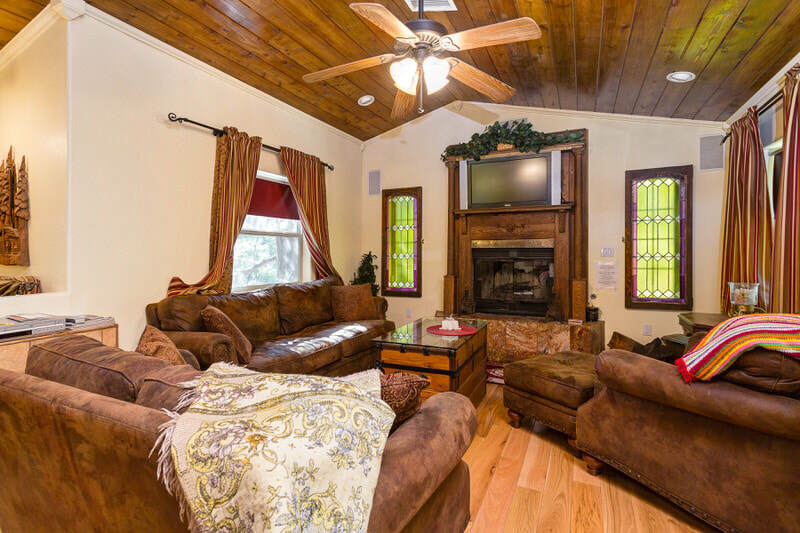 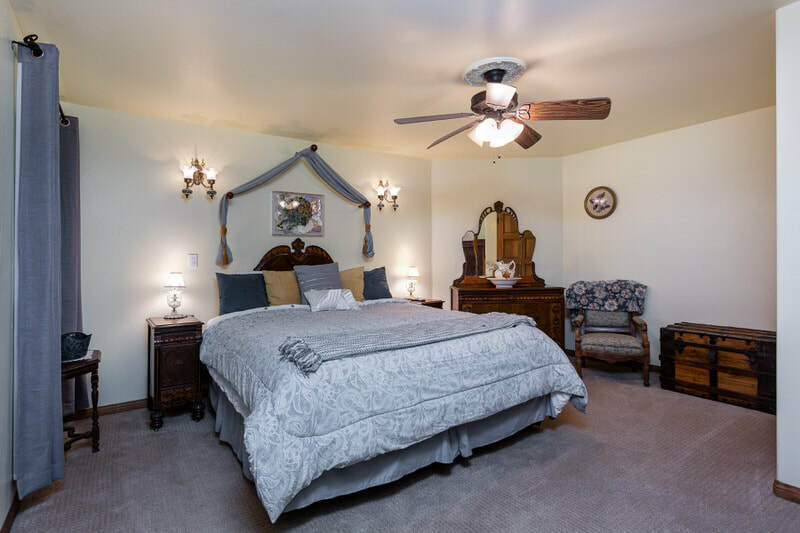 The spacious living room has beautiful oak floors throughout, cedar lined ceiling, and comfortable sofas with wood burning fireplacesurrounded by an antique oak mantel, and large TV equipped with surround sound and DVD capacity. This is a great gathering place to watch your favorite movie or warm up by the fire. The downstairs game room is simply spectacular with pool table and flat screen TV, mini frig and blender. 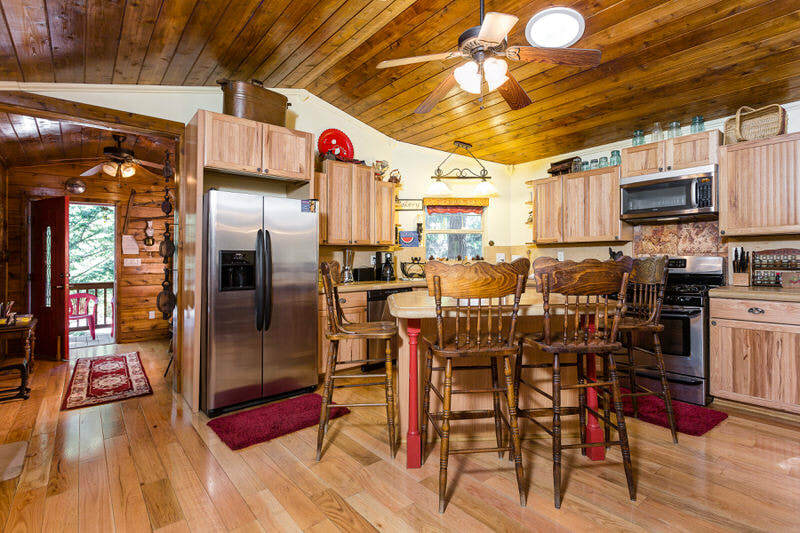 The cabin offers a large country kitchen that is fully equipped with modern stainless steel appliances, custom concrete countertops, a breakfast bar and formal dining area that seats ten. 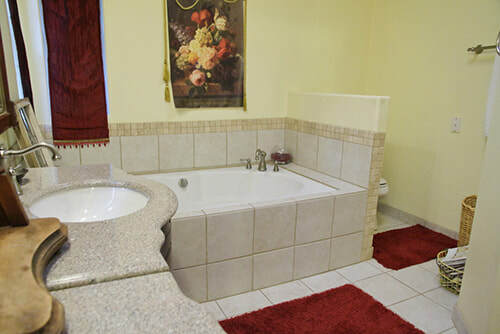 The home has air conditioning to keep you cool in the summer and two heaters for toasty warm winters inside. 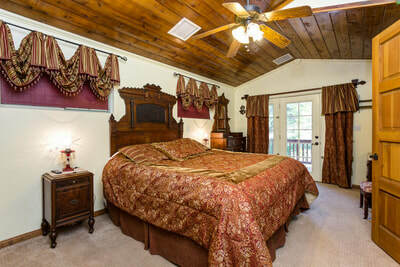 The main level and all the bedrooms have overhead fans. 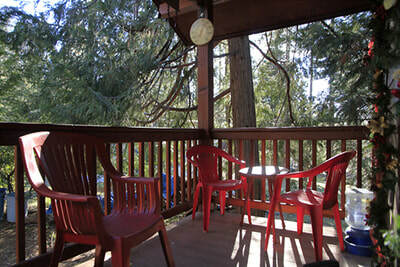 Don’t forget Cable TV, and new gas BBQ on the back deck. There are two dog beds available for your pets. 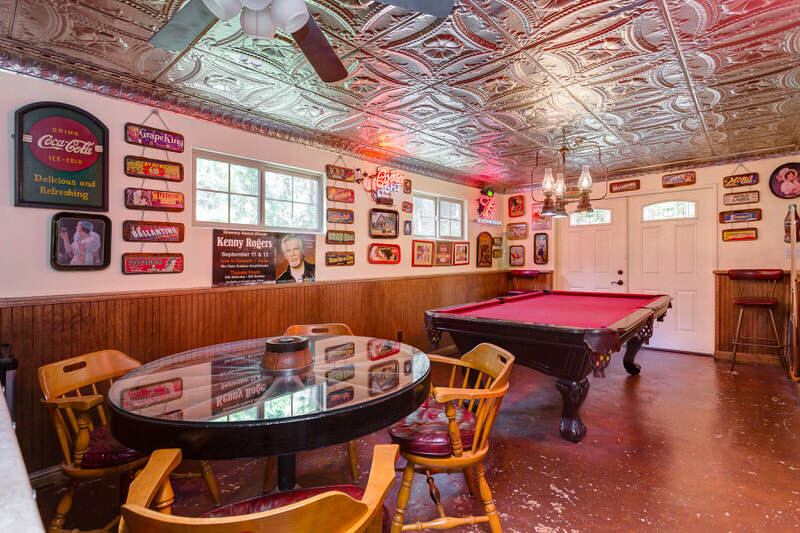 Plenty to do inside or use the horse shoe pit in the backyard. 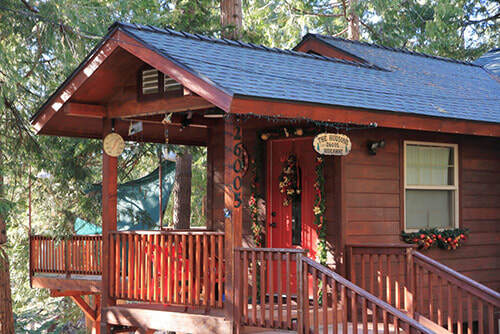 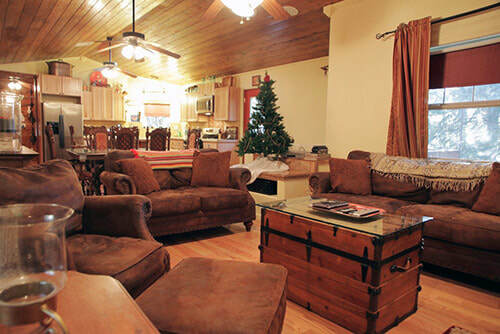 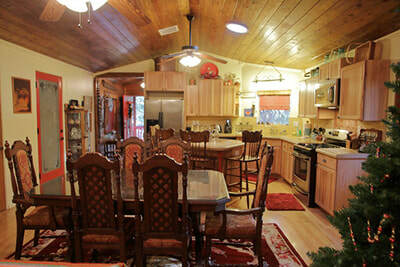 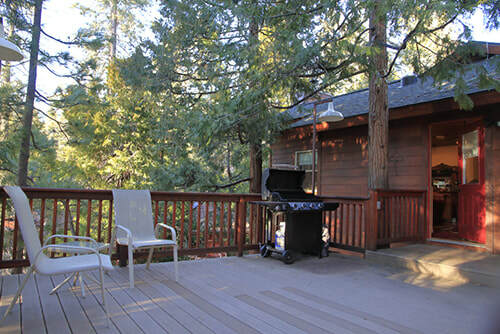 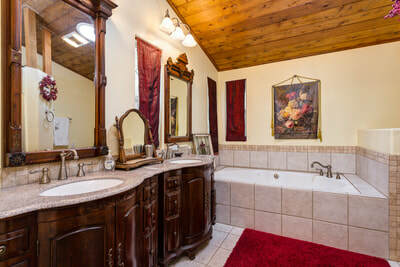 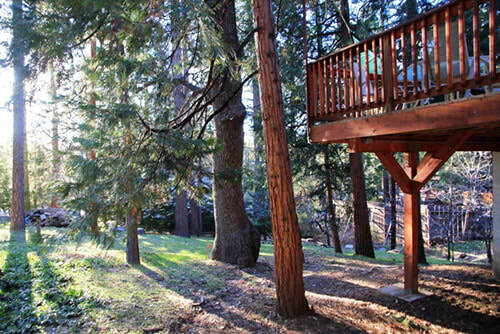 However you spend your time you can be sure this is one perfect cabin for the perfect Idyllwild vacation.